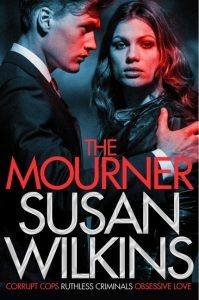 Today I'm welcoming back Susan Wilkins to chat about her new novel, THE KILLER, and how it feels to be writing crime fiction in our capital city right now. Welcome back to Crawl Space, Susan. 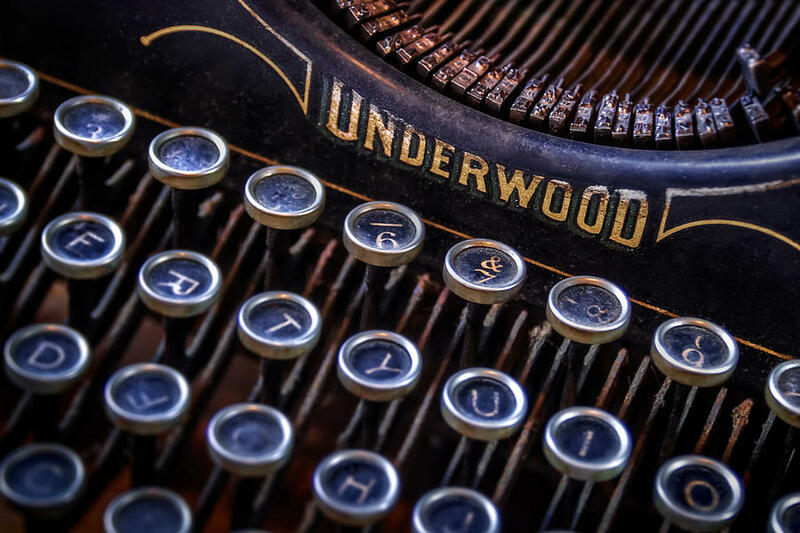 As a writer of politically astute thrillers, what's on your mind at the moment? SW: Hello again. A couple of weeks ago I did an event in London at the Southbank for the Polari Salon. It was a reading, and I planned to read the prologue of my new book, The Killer, which starts, unsurprisingly, with a murder. But this was just after the London Bridge/Borough Market terrorist attack and I found myself thinking – can I just stand there and read about fictional murder? I felt very uncomfortable. Then I started to wonder about the role of crime fiction in these febrile times. My books tend to have a high body count. And moral resolution? Not always. I thought this might be a fruitful topic for discussion. I’d love to know your views. SH: I agree we're living through almost unbearably difficult times, and those of us writing crime series are bound to feel the weight and responsibility of that. But I feel all good writing should be at least a little uncomfortable, both in its creation and its consumption. Perhaps that's my personal preference coming out; I know the books I enjoy best are those which touch a nerve or disrupt my complacency, or challenge me to think more keenly about a subject or a people or a time. It's one of the reasons I'm drawn to crime as a genre, because of our obligation to reflect society at its best and worst. The darker we write, the more we need compassion and light also. That said, we live in extraordinary times, not least in their unpredictability. I worry, as a writer of police procedurals, what shape the Metropolitan Police will take in two years' time, for instance. So I suppose I'm saying I see this more as a technical challenge in terms of authenticity, rather than a moral challenge, because the best fiction is always instinctively moral. What challenges keep you awake at night? SW: A difficult question to answer in terms of writing. In other terms it’s usually too much coffee, too much screen time, and worrying about the kids! You make a good point about the technical challenge in terms of authenticity. We all know about the savage cuts to the police service but the impact of that will manifest itself in myriad ways. The cumulative and long term impact of cuts in housing budgets have just be horrifically demonstrated in the Grenfell Tower fire. But today, the day of the Queen’s Speech has, according to the radio, also been designated a “day of rage”. Thinking about how to write about rage is one of the challenges that keeps me awake at night. Most crimes have some species of rage at their heart. Even seemingly victimless crimes like financial fraud proceed from an underlying sense that the rules of society don’t apply to me, I’m exempt. Somewhere under that is the hidden anger of rejection or exclusion. How we deal with our anger, or don’t deal with it, is fruitful terrain for the writer. And from that come questions like: is revenge ever justified? My new book, The Killer, is about revenge. It’s a fantasy we all harbour. And I wonder if women, living always with the possibility or threat of male violence, harbour it more. I remember, many years ago, overhearing a conversation between my mother and my grandmother. They were talking, in hushed tones, about a neighbour whose husband was prone to using his fists on her. “Epsom salts in his rice pudding” said my grandmother, “that’ll teach him.” So, as you can see, I was brought up to believe in vengeance. Which may, or may not, be a good thing. SH: Beware the wrath of women wielding Epsom salts ..! You know, I think you may be right, that women harbour thoughts of revenge more readily. Not just because as you say we're living with violence but because traditionally we have so few outlets for anger, and are expected to fulfil roles which take acceptance and forbearance as their starting point. I rather like the idea of quiet, domestic vengeance along the lines of lacing rice pudding. 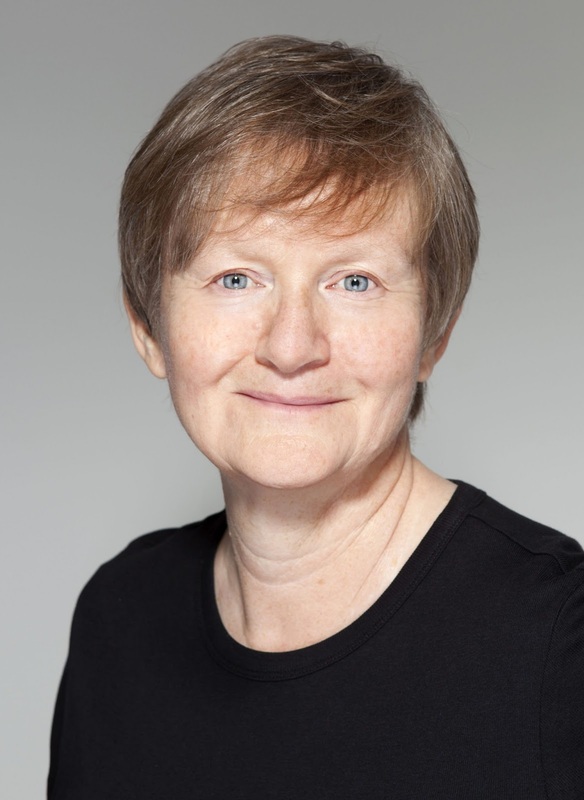 I have an unhealthy fascination with Kate Webster, who murdered her employer and boiled her down into dripping which she sold to the neighbours who'd looked down on her ... But tell me more about the role of revenge in The Killer. Did you set out to write a book about revenge? SW: The Killer turned into a tale of revenge. I don’t think I set out with that in mind. Initially, like many debut novelists, I hadn’t thought much beyond the first book. I was just happy to be published. So when I was asked for more I went back to the characters and wondered where they might want to go. 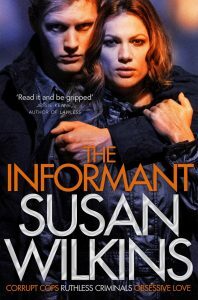 That’s when I found that really I had dual protagonists – Kaz, the original informant, caught between her gangster brother and the police, and Nicci, the cop forced out of the Job by personal tragedy. Nicci became an exploration of the world of privatised security, which we’ve already referred to in terms of police cuts. Kaz and Nicci are the dark and the light, what you do when you are full of rage and have only yourself to rely on. Of course, as soon as I mention Kaz’s gangster brother and her Essex family, we’re in the realms of “that sort of book”. I have been amused to discover that I’ve inadvertently placed myself in the “marmite sub-genre” – people either love it or hate it. I have had many comments along the lines of “it’s really quite well written for that sort of book.” What I think is rarely discussed around crime fiction are the class divisions both in terms of readers and writers. Most people like stories that reflect some aspect or have some resonance with their own experience. Interestingly though a fictional character from a working class background who seeks to advance themselves through crime, appears to be more intellectually respectable if they are male than if they are female. I’m not entirely sure why. But I think it comes back once again to how we process and fictionalise female experience. SH: There's a thesis in this somewhere: Class and Gender Wars in Crime Fiction. I suppose we could argue that fiction deals in recognisable stereotypes so we get a surfeit of 'female types' (virginal victim, seductive temptress, warrior mother). But what I like about so much of modern crime fiction is the license to subvert stereotypes (in fact, I think of this as an obligation on the part of the crime writer). Which isn't to say that brave books are the ones most often published or pushed, sadly, but the scope is there. In the current climate where a story like The Handmaid's Tale can chill us because it feels not merely prescient but present, I am optimistic about the appetite for books which better explore the female experience from different angles. Certainly I feel we must be reaching saturation point for the sort of thriller where the middle class heroine's lovely lifestyle derails because her husband lied to her about x, y or z. Which books have you read recently which give you hope for more diversity? SW: I agree we have an obligation to subvert stereotypes. And I must say I think you do that very well in your books, especially with the character of DS Noah Jake. My reading lately has been a bit eclectic. I’m half way through My Cousin Rachel by Daphne Du Maurier. I’d never read it before and came upon it because there’s a film just out. It’s a great piece of storytelling not to mention a masterclass in how to do an unreliable narrator well. So many recent psychological thrillers are full of tricks and twists that are bolted on to the plot and don’t really come out of the nature or desires of the characters. Written in 1951 it’s still a slicker piece of commercial fiction than much of what’s currently around. However (back to stereotypes), its feminist credentials might not be so hot – I’m not sure because I haven’t got to the end yet. SH: Interesting you've returned to a classic psychological thriller of the 1950s as my current favourite recommendation is Celia Fremlin's The Hours Before Dawn, about to be reissued nearly sixty years after it was first published. Another masterclass in going deep into character for twists and turns - these classics can definitely teach us a thing or two. It's been fun chatting with you, Susan, and I look forward to seeing where you take your writing next. Stay political, it's so important, now more than ever. SW: I will. I can’t help myself really. Thanks for chatting! 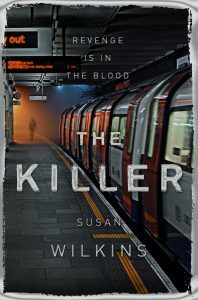 The Killer is out in paperback today, 29 June, from Pan Macmillan. You can buy it here. 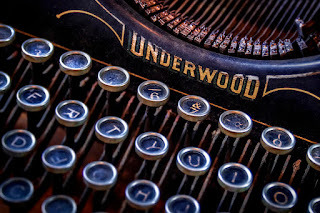 Embrace rejection, and my many other rules of Write Club, written for writing.ie. Remember that your next book is your best book. Always have something new bubbling under. Stay excited about writing. 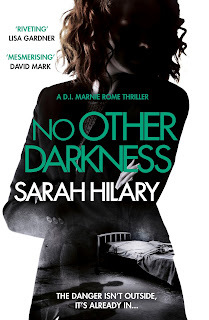 If the heat is getting to you, try bunkering down with No Other Darkness which is just 99p for Kindle and Kobo now. "How did they think of THAT…? Unpick the criminal masterminds behind the bestsellers. 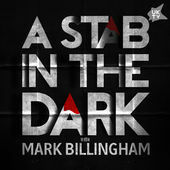 Known for being an all-round lovely chap, Festival favourite Mark Billingham chairs a panel who are also rather lovely. So what inspires their murderous meanderings? Unpick the ‘dark mind’ behind the charming façade of Sarah Hilary whose brutal but deeply moral books have garnered awards and acclaim. Steve Mosby, the tattoo’d crusader, does disturbing brilliantly. He studied philosophy and did a series of admin jobs (Excel spreadsheets can drive you to murder) before writing full time. The Independent said of award-winning Belinda Bauer that she took ‘the psychological thriller into new territory’. That says something in a well-trod ground. Where does she get her ideas? Finally, get ensnared with Melanie Raabe, the unique premise of her in-demand debut The Trap caused a stir amongst Hollywood producers." This is the best fun I've had chatting about murder. With Belinda Bauer and Mark Billingham, who asks all the important questions such as country vs. city crime, and which biscuit is best?